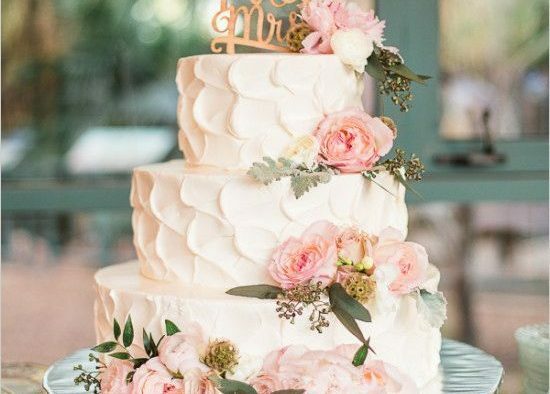 Romantic with a bout of fairy-tale quality, this cake was made for a bride that's been dreaming of her whimsical and dreamy wedding day for months on end. 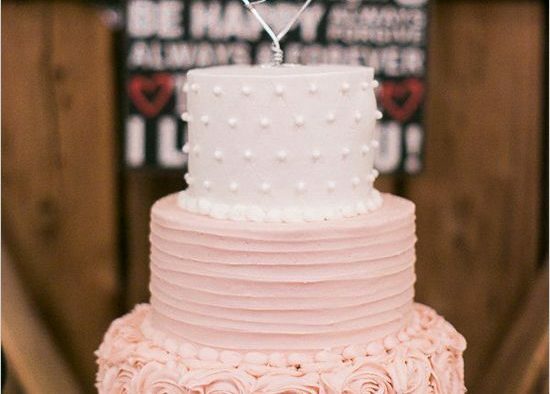 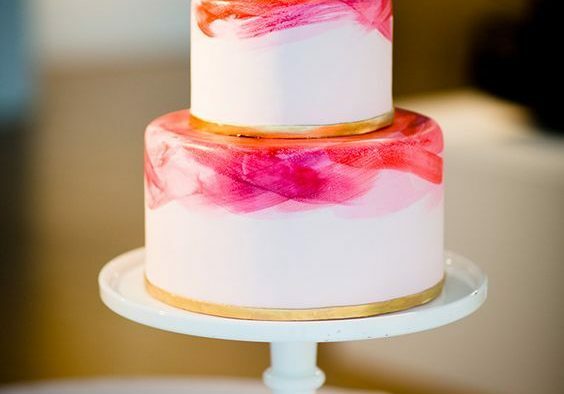 From top to bottom these blushing pink wedding cakes will be the center of the party. 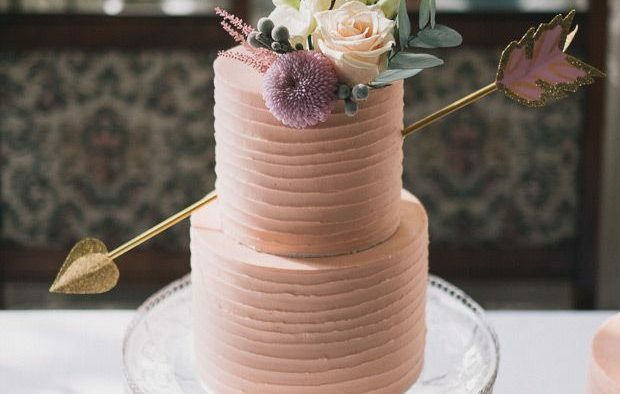 Embellished with florals and textures or with a super modern and sleek style, check out these 10 completely perfect and pink designs! 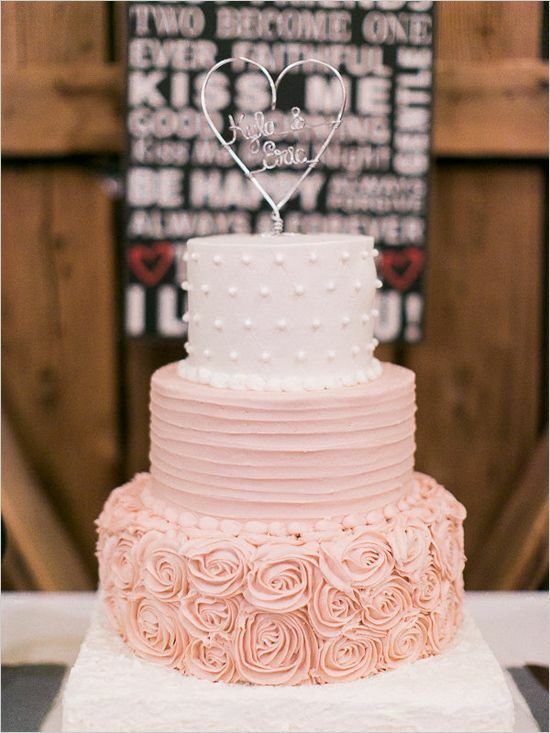 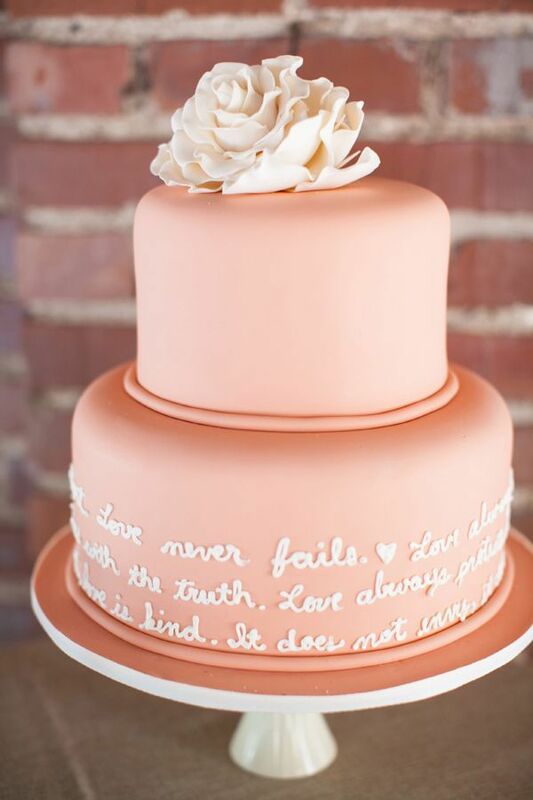 With a peachy tone and words surrounding, this cake design is incredibly romantic. 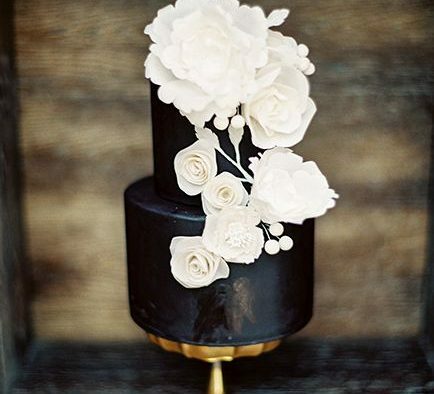 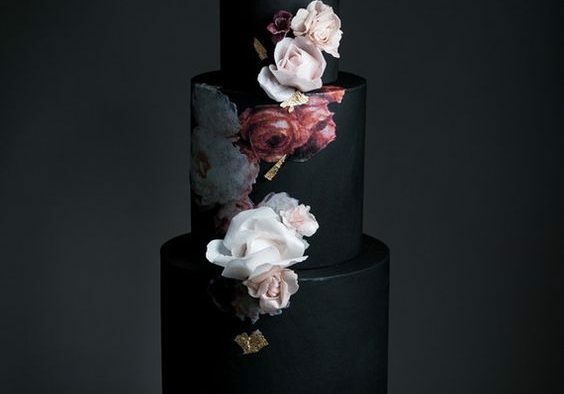 This cake is all about texture from the bow to the rosettes, we're loving ther artistry. 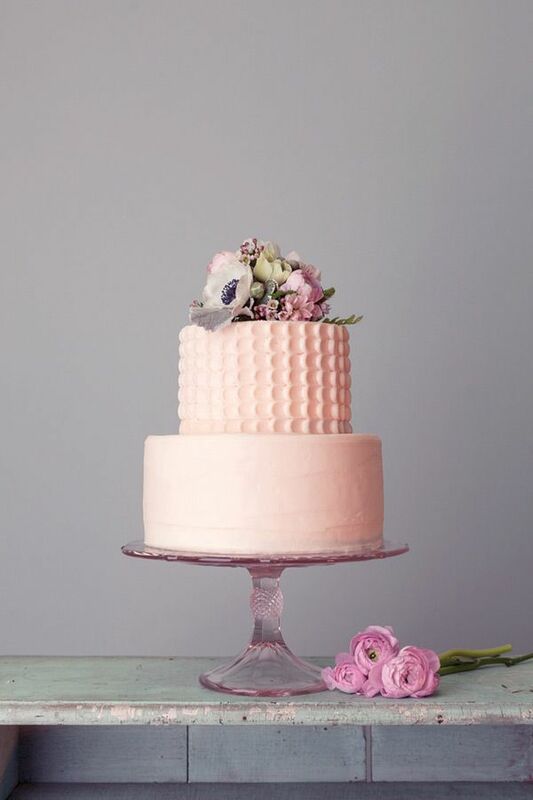 A whipped look and garnished with lush florals, this is a cake made for rustic, springtime weddings full of beauty and organic style. 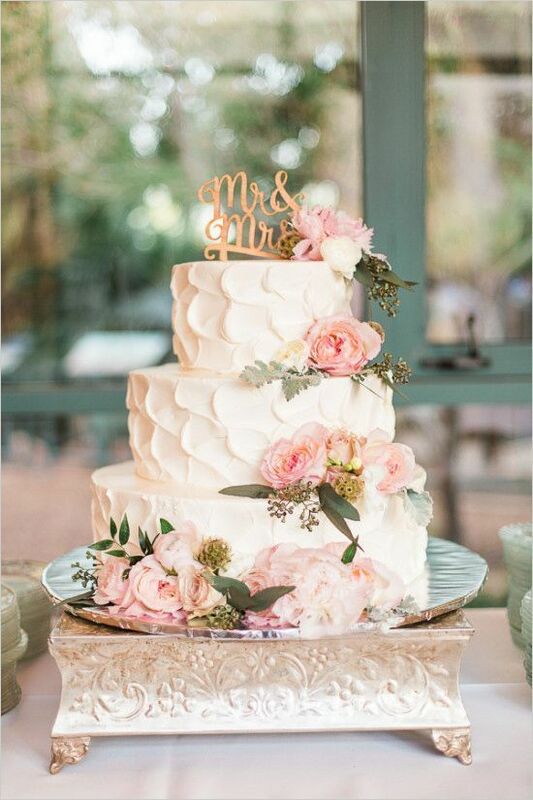 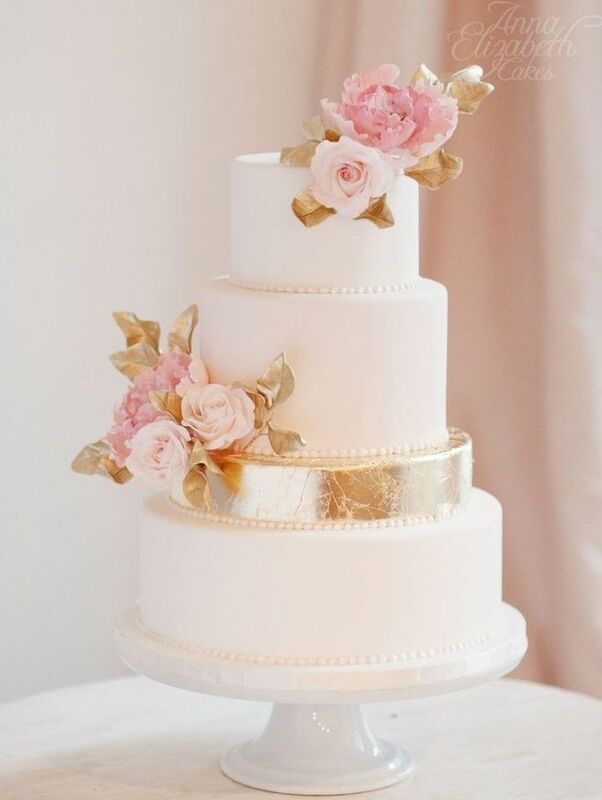 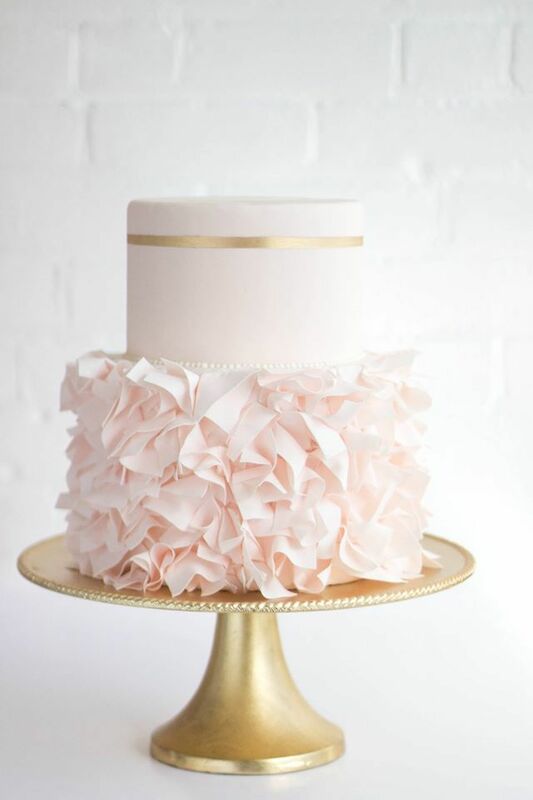 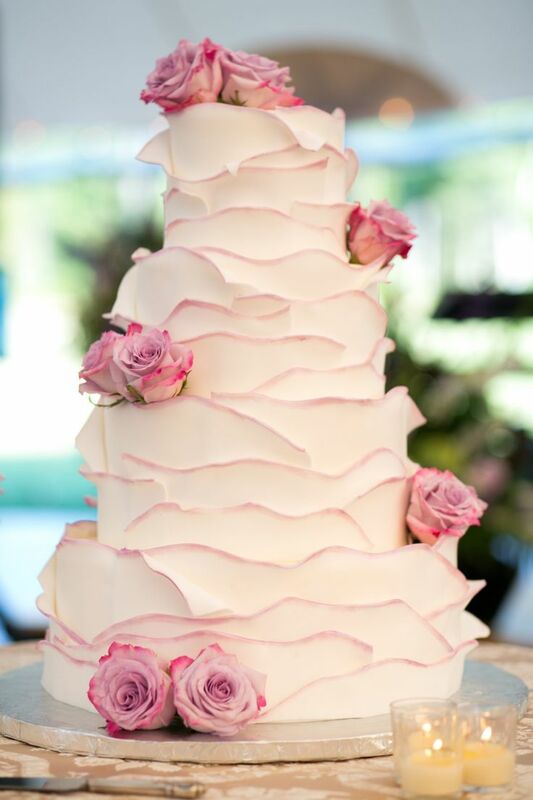 Blush colors will always work with metallic gold accents and this cake proves that with both ease and elegance. 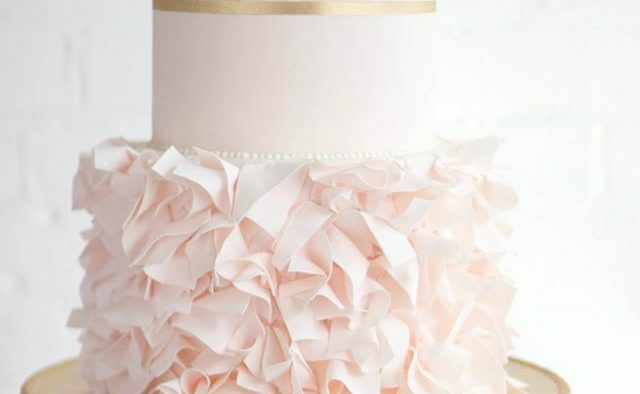 Layers of ruffles and defined edges, this archiectural design will impress every one of your guests. 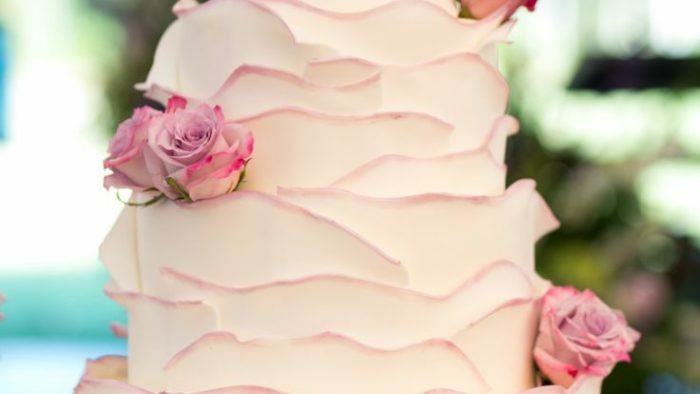 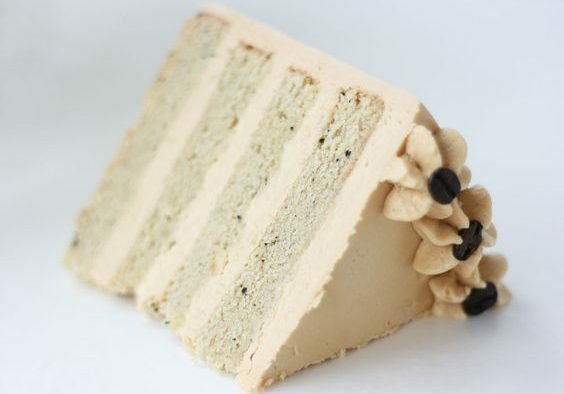 Sweet and delicate, the tendriled bottome of this cake compliments the sleek top portion with a fun and youthful flirtatiousness. 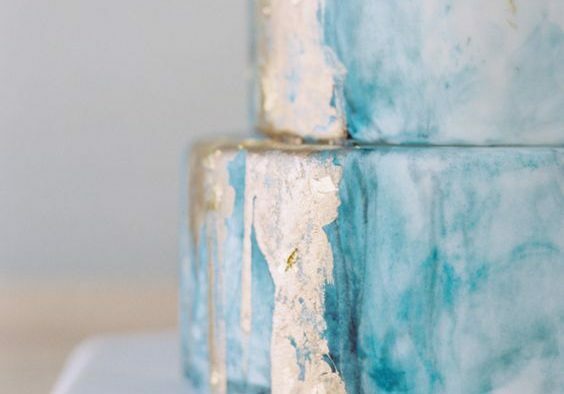 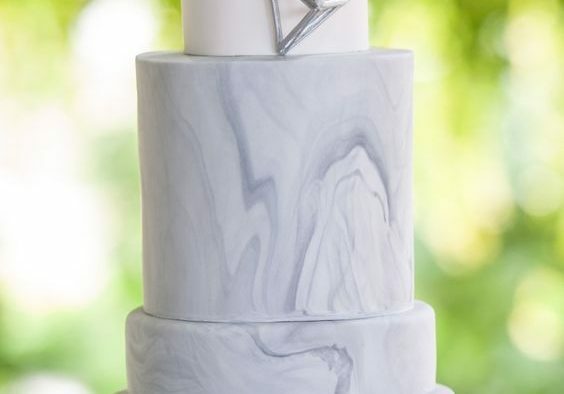 Here's another cake that mixes textures but also has a very raw and organic style about it, and we love that foward thinking when it comes to wedding design details. 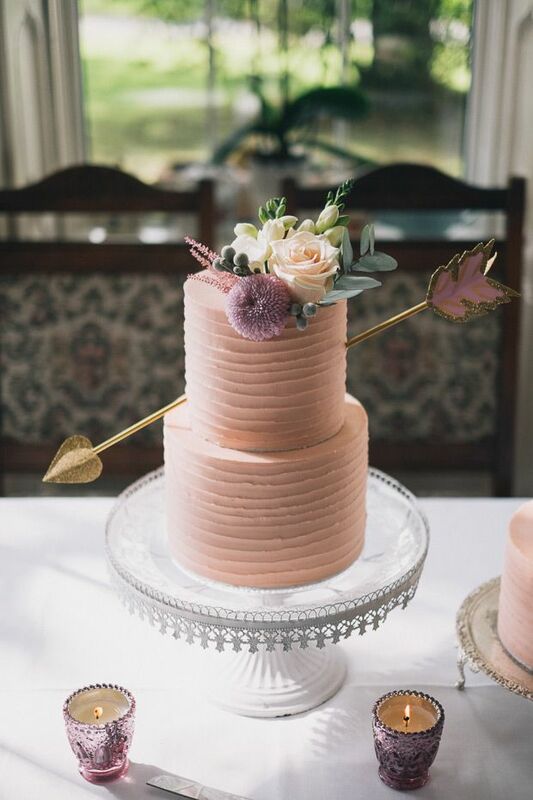 Not only are we swooning for the rosey, blush pink shade but the arrow accent really shows off a unique couple style and personalization. 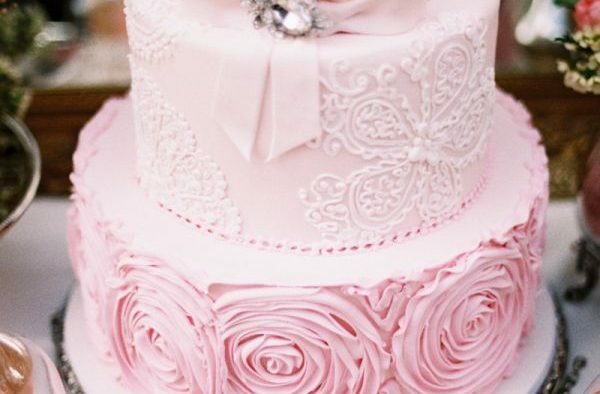 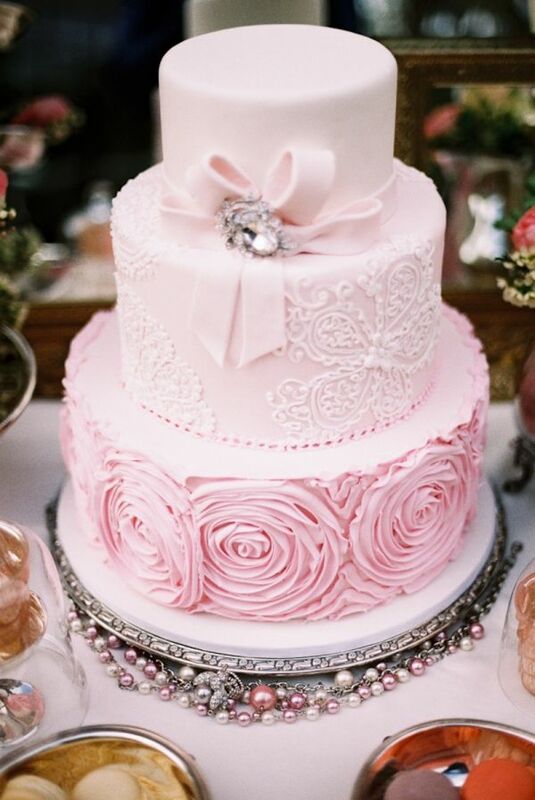 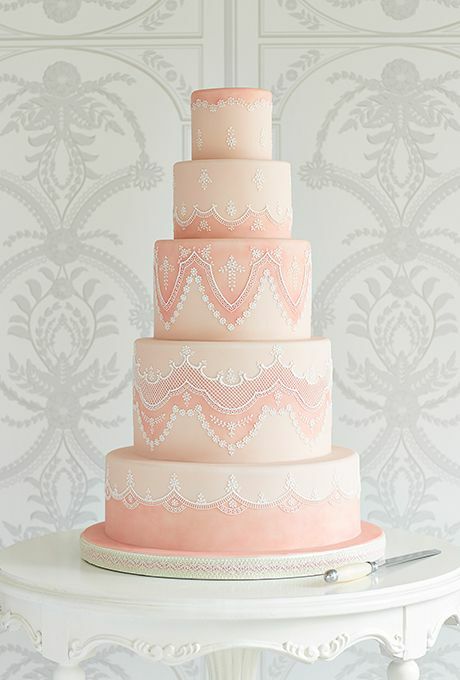 Here's a cake that mixes pink tones inside a Victorian style with both elegance and grace.